They are known as the turbaned tide. Novelist DIYA DAS explores the journey made by Indian immigrants from the subcontinent to America’s shores. 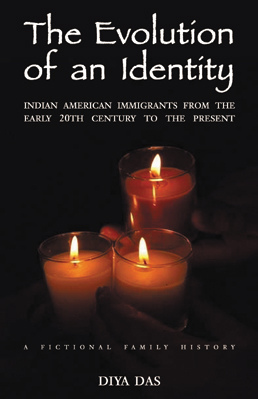 Weaving the narrative as historical fiction, the novel focuses on a young girl who uncovers the American roots of her Indian family tree. The story unfolds in three venues. The protagonist discovers a Californian ancestor, a scholar-turned-farmworker who participated in the 1917-18 Ghadr movement to gain Indian independence from Great Britain. She then follows the voyage of a doctor aunt who immigrated to Chicago in the 1970s and was also a newspaper columnist. Finally, the narrator explores how to merge her Indian and American identities as she attends a Hindu festival in New York City. The novel is filled with rich cultural details, solid historical references and fitting literary allusions. Diya's research ended up taking her on a personal journey. The narrator’s odyssey mirrored that of the author. Where facts and imagination did not create a coherent story, Diya employed elements of her own life as a first generation Indian American immigrant.